SEAMAN JOB INFO - Posted/Jan/2019 Dohle Seafront Crewing, Inc. 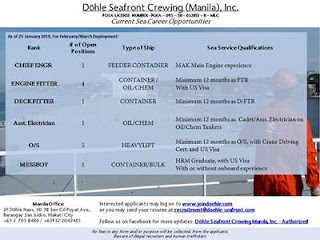 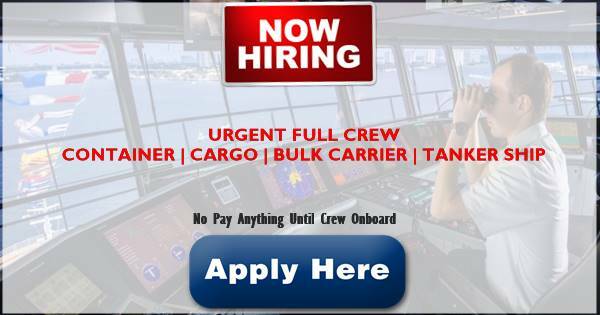 Available jobs hiring for Filipino seafarers crew join on container ship, heavy lift cargo ship, bulk carrier ship, oil tanker ship. 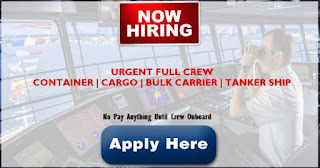 0 Response to "Ordinary Seaman(6x), Fitter(5x), Messman, Electrician, Chief Engineer For Container Vessels"